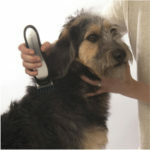 Is The Wahl Motion Lithium Ion Dog Clipper The Professional, Pet-Friendly Clipper Consumers Want? It is strange to call an animal clipper stylish but there is something about the sleek shape of the Wahl Motion Lithium Ion Dog Clipper and its minimalist design that is quite appealing. Included with the clipper itself is a charging stand for powering the energy-efficient transformer, a cleaning brush for maintenance and an instruction manual. The ability to produce 5500 strokes per minute from a powerful motor suggests that this cordless Wahl clipper will make short work of most grooming tasks but are buyers happy with the performance and results seen? 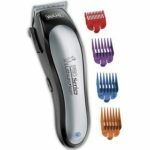 What benefits have buyers mentioned in their reviews for this Wahl 41885-0435 Dog Clipper? Ergonomics and style are a great start for creating an appealing grooming product but it also needs to cut pet hair to the standard that buyers expect. The 5-in-1 pro blade offers users versatility in their options and the promise of 90 minutes of cordless operation from its Lithium Ion battery is a definite plus that has received great feedback from consumers. 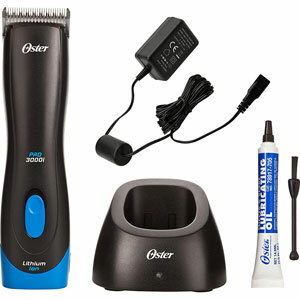 Wahl claim that this clipper is ideal for delicate areas and finish work with its precise trimmer function. What is impressive is that it has the ability to do the delicate work but also the power to tackle problem areas – increasing this sense of versatility even further. When the matts get tough, the motor goes up a gear to get rid of them quickly. In addition to this, there are reviewers commenting on the ease of switching the blades for a continual flow to the grooming processes – even if some are a little sceptical that the #15 is truly a #15. That takes care of the human operator but what about the pets being groomed? The specification promises to cover the three key areas for pet safety – cool running, low vibration and minimal noise. Buyers do not seem to have any complaints in any of these areas: Wahl say that this Wahl Lithium Ion dog clipper is “exceptionally quiet” and buyers tend to agree. The blade generally retains a cool, comfortable temperature without the need for too much blade oil. An additional item that is included in the box – and nervous toy dogs have been groomed with ease. 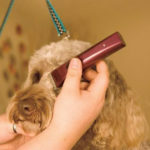 In fact, a large proportion of reviews are from owners of very small dogs who are looking for an effortless way to shape and cut their hair in a professional manner. It may take a little practice for less experienced users but most are very happy with the results. 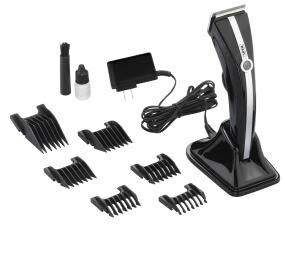 Does this Wahl 41885-0435 Motion Lithium Ion Dog Clipper have any disadvantages that might affect this positive experience? So far, these clippers seem to address all the needs and potential problems that buyers have in mind when looking for a high-end product. One area of complaint takes us back to the interesting shape and design. There is the clear sense that this product has been designed with its human users firmly in mind to make handling the clipper much easier; however, the removable “scissor grip” handle – clearly highlighted by Wahl because it is their new gimmick – actually gets in the way and many have taken it off. Thankfully, this appears to be the biggest issue on this appliance and most buyers are very happy with their purchase. Summary: does this lack of complaints mean that this Wahl Lithium Ion Professional Dog Clipper is a highly recommendable option? The word professional gets added to any piece of equipment that buyers working within that industry may appreciate and sometimes it is not applicable; in the case of this “professional” Wahl animal clipper, this tag seems to be justified because of the different options that are available to users to create a high quality cut and the power and ease of use behind them. Add to this the trio of features that are designed to look after our pets well-being and it is easy to see why there are so many buyers singing the praises of this product. The flashy new feature may not have gone down as well as Wahl might have hoped but it doesn’t distract from the performance too much and most buyers are still incredibly pleased with the function, safety and results seen. Because of this high satisfaction rating, it is impossible not to give a full recommendation to this Wahl pet clipper? 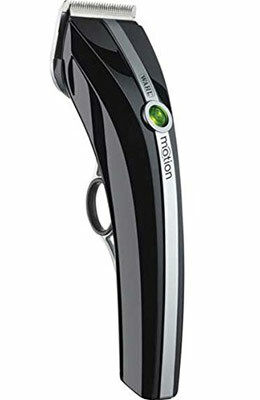 Find more reviews about the Wahl Motion Lithium Ion Dog Clipper on Amazon here.